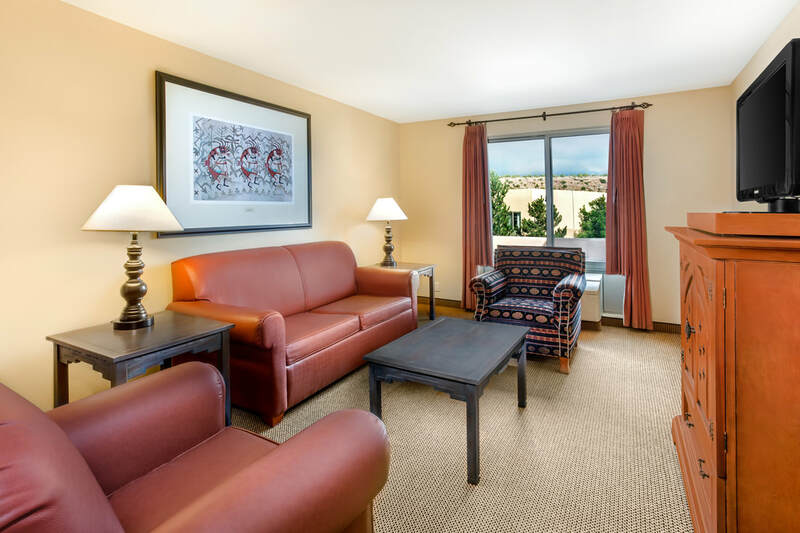 Appreciate the scenery and Southwestern decor of the Homewood Suites by Hilton® Santa Fe-North hotel. Set in the rolling hills of Pueblo of Pojoaque, our all-suite hotel is 15 minutes north of Santa Fe, New Mexico. 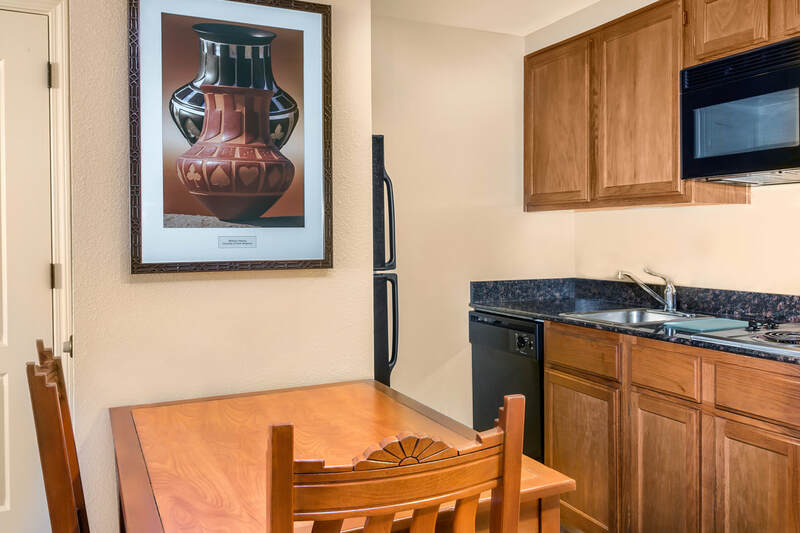 Our Santa Fe suites are decorated with art and colors appropriate for the Native American community. Admire the stunning views of the Towa Golf Course, Jemez Mountains and Sangre de Cristo Mountains. Our multi-lingual staff will help you find the best options for you in Santa Fe. This multi-level suite features a King bedroom, a living room, a balcony, a fully equipped kitchen and a jetted tub. The fully equipped kitchen includes a full-sized refrigerator, microwave, dishwasher and twin burner stove, plus utensils. All of our suites keep you connected with complimentary internet access. This spacious suite features two bedrooms, two bathrooms, a living area, sofa bed, a kitchen and two TVs. In the fully equipped kitchen, accented with granite countertops and warm wood laminate floors, you will find a full-sized refrigerator, microwave, dishwasher, twin burner stove, and coffeemaker. All of our suites keep you connected with complimentary internet access. Our Deluxe Casita one-bedroom non-smoking King Suite is filled with all the features of home, beautifully decorated with Native American Art and custom made furniture from Mexico. The fully equipped kitchen includes a full-sized refrigerator, microwave, dishwasher and twin burner stove, plus utensils. A dining area off the kitchen can easily double as workspace. A separate living area features a full-sized sofa bed, a comfortable chair and television with movie channel entertainment. 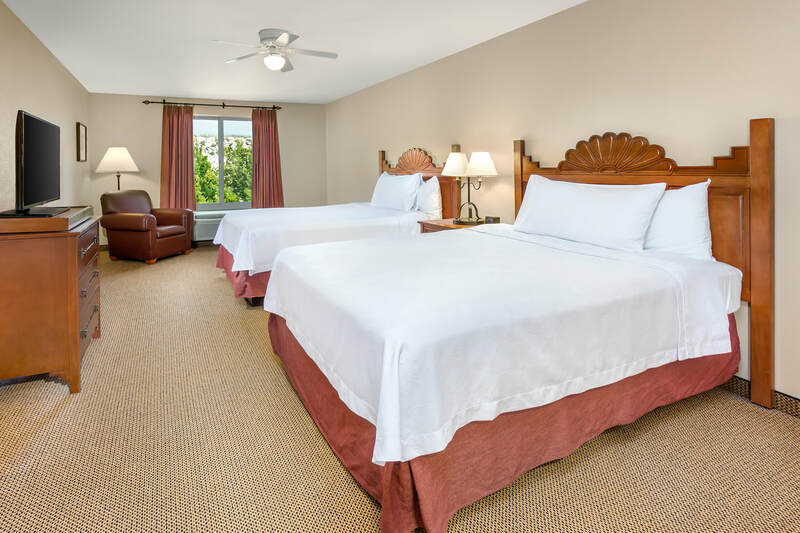 Designed for those who like open floor plans, our Deluxe Casita Studio Non-Smoking King Suite features an open layout which includes all the comfortable features of home. Beautifully decorated with Native American Art and custom made furniture from Mexico. ​Our Studio King Suite also includes a fully equipped kitchen with a full-sized refrigerator, microwave, dishwasher and twin burner stove, plus utensils, to make dining in easy. 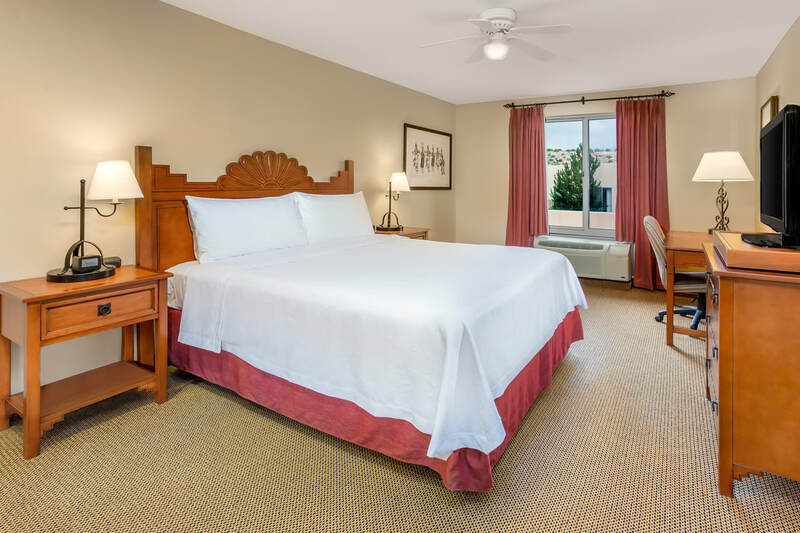 Our One-Bedroom Non-Smoking 2 Queen Suite is filled with all the comfortable features of home, beautifully decorated with Native American Art and custom made furniture from Mexico. The fully equipped kitchen includes a full-sized refrigerator, microwave, dishwasher and twin burner stove. A dining area off the kitchen can easily double as workspace. A separate living area features a full-sized sofa bed, a comfortable chair and television with movie channel entertainment. Unwind in the comfortable Serta Sweet Dreams® queen-sized beds in a separate bedroom with another television. All of our suites keep you connected with complimentary internet access.